We are delighted to have the GB Swans Captain Laura Turner preview the IC17 Women's Division Grand Final. Laura of course, over the past week or so has seen both of these teams close up. 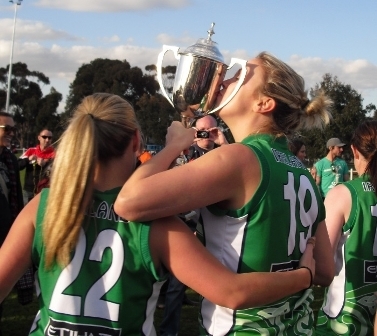 The 2017 AFL International Cup Women's Final will take place on Saturday and will feature two tournament rivals Canada Northern Lights and the Irish Banshees. Despite valiant efforts from newcomers to the tournament the GB Swans and the more experienced USA Freedom the final is the same match up as in IC14 and IC11. The game is expected to be a closely fought contest with the physicality and confident marking skills of the Canadians taking on the slick hands and fast paced passing game of the Irish. Ireland will be bouyed by the experience of AFLW player and co-captain Laura Duryea. Her free role and ability to read the game has seen her get her hands on the footy on a number of occasions and the Canadians will need to be aware of her deep kicks into the forward line. The Canadians have proven to be a very organised and selfless team, being one of the best at positioning, blocks and shepherds around the contest. This allows the speedy Valerie Moreau time on the ball to side step defenders, something the Irish mids and half backs will need to shut down quickly to avoid losing precious ground. Lara Hilmi's presence around the centre of the field will hope to neutralise the dominance of Clara Fitzpatrick in the ruck for Ireland but the game is likely to be a brutal event to be tipped by the team whose desire is most prominent. In the forward line Irish player Christine McCutcheon (under an injury cloud) will be eying the tournament top goalscorer spot, she is currently in third place with 6 goals. She will face stiff competition from Sally Fong (Fiji) and Valerie Mai (PNG) who both have 8 goals and Danni Saulter (GB) who has 7 goals. With all the remaining place final games on Friday these ladies will set the bench mark for the sharp shooter to reach. Overall the women's tournament has been a raging success welcoming in Pakistan as another new women's team and the wonderfully charismatic European Crusaders who have given women from all over Europe the opportunity to experience the International Cup. With an 8 team women's competition it is evident that participation has replicated the domestic growth of the women's game and with the access to free streaming of AFLW games this will hopefully continue to increase over the next three years. 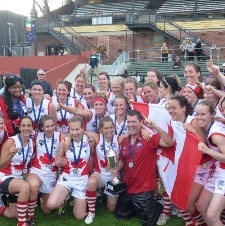 If you are going to the Canada Northern Lights vs Ireland Banshees Grand Final you will need to purchase a ticket to the Carlton v Hawthorn match to gain entry. Selected gates will open from 4pm. The match is scheduled to begin at 4.30pm (AEST). The match will be streamed worldwide live on the AFL International Cup Youtube Channel.